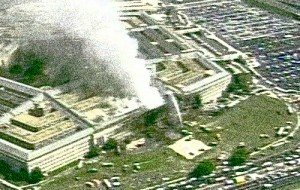 In early 2009, I watched the “National Security Alert” video by the Citizen Investigation Team (CIT) where recollections of 10 eyewitness accounts of the attack on the Pentagon were presented (of many more that were interviewed). These accounts included the witnesses’ recollection of the path being taken by the plane prior to impact. The path that many of them recalled was to the north of the former CITGO gas station. Based on these few accounts CIT presented its case that the plane flew over the Pentagon since the damage trail was not consistent with the north path. My main focus relative to 9/11 had been on the destruction of the three World Trade Center skyscrapers. I had not been able to spend much time on the Pentagon issue. I was initially impressed by CIT’s presentation and, more than a year and a half ago, provided a short statement of support for their efforts. After making my statement I became aware of more details of the CIT witness accounts as well as the rest of the compelling eyewitness testimony that is available. The vast majority of eyewitness accounts refute the CIT flyover conclusion, as they entail that the plane hit the Pentagon or was flying so low it could not miss. 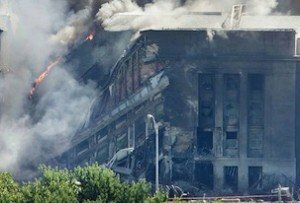 I was also surprised to learn that 12 of the witnesses that CIT interviewed (including six witnesses to whom CIT refers to as north path witnesses) were in a position to see the Pentagon and all 12 stated that they saw the plane hit the Pentagon. It was clear from this that CIT used improper investigative methods. CIT used and presented only those portions of their witness reports which fit their conclusion. The preponderance of CIT’s own evidence in fact supports the conclusion that the plane impacted the Pentagon. (See Summary and Analysis of “National Security Alert” and other works listed below for these and many additional witness statements that describe the plane as clearly impacting the Pentagon). Because of these concerns I provided new statements in December 2009 and January 2010 pointing out that my previous statement of support should not be interpreted as an endorsement of their conclusion that the airplane flew over the Pentagon. Despite these statements, CIT has continued to publish my original statement and characterize it as an endorsement of their flyover conclusion. I am hereby now on the record clearly as NOT supporting the CIT investigation at all. In addition, I insist that CIT delete my name from its web site in any and every context in which it might give the impression of support or endorsement of their efforts from me. I base my present position also on a number of blogs, papers, blogs, and videos that have shed light on the Pentagon Flight 77 issues and on CIT’s work. These papers should be among those studied by anyone seeking the full truth about these matters. Most of these works analyze additional evidence and come to different conclusions than CIT does. There was a time in the four years after 9/11 when I simply assumed that the official story of the destruction of the WTC Twin Towers on 9/11 was true. One could say that I “endorsed” the official story based on what I knew at the time, but as I learned more, my opinion of what happened to those buildings evolved radically. John Maynard Keynes, father of Keynesian Economics, once said: “When the facts change, I change my mind. What do you do, sir?” A similar evolution has occurred in relation to my view of CIT’s work. I strongly recommend that people who care to research what happened at the Pentagon take personal responsibility for forming their own conclusions by acquainting themselves with a wide range of analysis done by people who have come before them rather than jumping to conclusions based on a skewed selection of evidence and argument, or being unduly influenced by any type of authority figure. Use your own discernment, based on your use of the scientific method to arrive at a coherent theory that you can confidently stand behind. One of the authors cited above, Frank Legge, PhD., admonishes us to adopt a “prudent approach” to the Pentagon piece of the 9/11 puzzle. 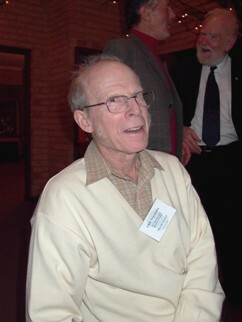 In the end he wisely advocates the “precautionary principle” which is to “assert only what we can truly know,” given the contradictory evidence, misinformation, disinformation, and lack of information from official sources, and the difficulty in verifying much of it, years after the fact and with inadequate resources. Legge concludes that there is prima facie evidence that “the official explanation of the event at the Pentagon is false and that a cover-up exists. He concludes as well this negative hypothesis: that there is “no proof that a 757 did not hit the Pentagon.” And, since officials are holding the cards (videos) as to what did or didn’t hit the Pentagon, Dr. Legge’s recommendation is that investigators “take care to avoid publicly asserting that the 757 did not hit the Pentagon”. We can all agree that no hijacked plane should have been able to violate the airspace of our nation’s capital and hit the headquarters of the most sophisticated defense system in the world – an hour and a half after the assault began on the Twin Towers. The 9/11 Truth movement will be more likely to succeed in its effort to educate the public about the Pentagon by focusing on those areas of greatest agreement. 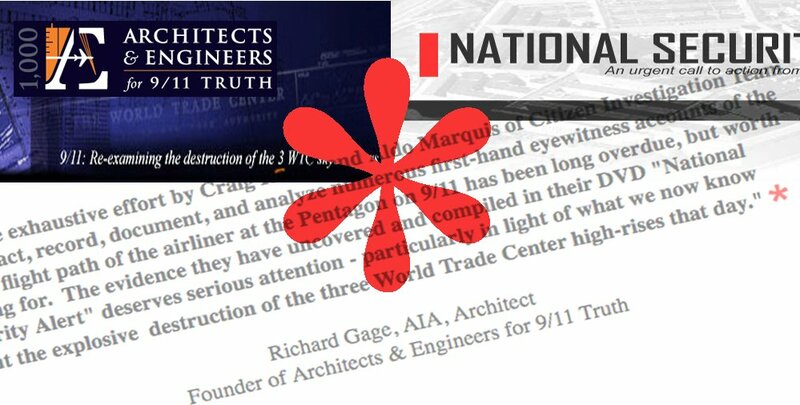 Editors Note: Thank you to Richard Gage for taking the time to properly look into CIT and withdraw your endorsement of misinformation. Your information and presentations are much too powerful to be associated with sloppy, agenda driven misinformation like that found in the film “National Security Alert”. 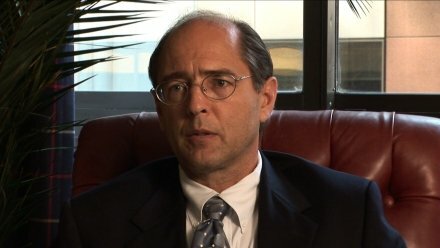 Filed Under: 9-11 Cover-Up, 9-11 Flight Paths, 9-11 Truth Movement, CIT, Citizens Investigation Team, Connecting the Dots, Disinformation, Flight 77, Misinformation, Muddying the Waters, Pentagon, Pilots for 9-11 Truth, Richard Gage, Sloppy Research, V for Visibility, What Hit the Pentagon? I normally prefer the high ground when it comes to accusations regarding intentions. However, since the Complainers routinely impute sinister motives to their critics, the reader must consider whether that behavior is more consistent with an intention to support or subvert the overall agenda of the 9/11 Truth Movement. Page numbers refer to the attached PDF. Whatever the reason, many comments supportive or critical of CIT/NSA that violated 911Blogger rules were allowed to stand because of the overwork that is endemic to the 9/11 truth movement. Whatever inconsistencies there might have been, in terms of who was allowed to get away with what, say little or nothing about the moderators’ intentions. The Complainers write as though the evidence against a large airliner having flown into the Pentagon were strongly in their favor, and they make vastly exaggerated claims for the power and the clarity of that evidence. 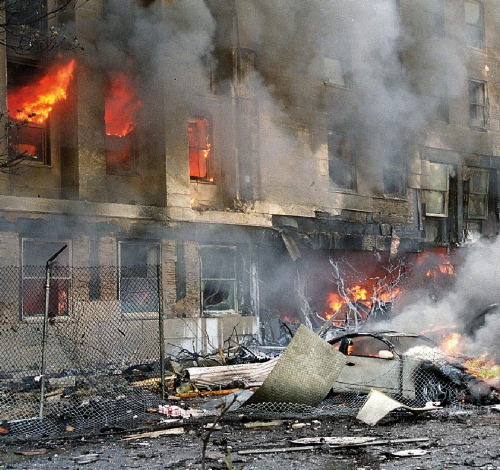 Jim Hoffman’s essay, The Pentagon No-757-Crash Theory: Booby Trap for 9/11 Skeptics, published in October 2004, finds that much of the evidence regarding what hit the Pentagon is inconclusive, and is incapable of being made much better than it is. 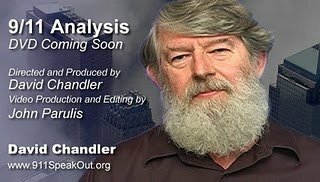 Since the 9/11 Truth movement is working to uncover the truth about 9/11, against a backdrop of blatant lies that constitute an orchestrated coverup, it is important to deal very cautiously with facts. Deviating from the official story carries a heavy burden of proof, especially in the mind of the public. Speculation lays us open to debunking. Speculation that appears outrageous, and is proved wrong, can paint the whole 9/11 Truth Movement with a broad brush as crazies. 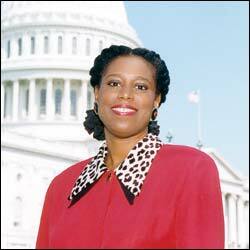 We could lose all the hard fought ground we have gained, rendering our solid accomplishments moot. On these grounds, the question of what hit the Pentagon is a self-defeating choice as the focus of any demand for a new investigation. In one of his later analyses Hoffman concludes that “[the] evidence comports with the crash of a Boeing 757.” He added that while “the evidence does not conclusively prove that the aircraft was a 757, much less that it was Flight 77”, “that lack of conclusiveness should not be surprising given the systematic suppression of evidence by authorities.” We need to be willing to let the official story stand unless the proof to the contrary is extremely solid. Filed Under: 9-11 Aircraft, 9-11 Aircraft Wreckage, 9-11 Cover-Up, 9-11 Truth Movement, CIT, Citizens Investigation Team, COINTELPRO, Connecting the Dots, Cowards, Disinformation, Essential Reading, Flight 77, Liars, Misinformation, Muddying the Waters, MUST READ, Outrageous Conspiracy Theories, Pentagon, Pilots for 9-11 Truth, Research, Rock Creek Free Press, Sloppy Research, V for Visibility, Wake Up 9-11 Truth Movement, What Hit the Pentagon? 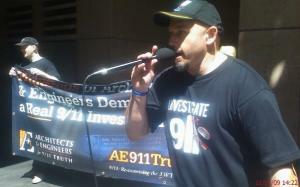 “911Blogger.com” Accused: Is Leading 9/11 Truth Site Working For The Other Side? “Is 911Blogger.com working for the other side?” This question has been asked in an article written by the “staff writers” at the Rock Creek Free Press. I found this article I have attached below rather corrosive and it appears to me some people (“staff writers”) want to perpetuate some sort of civil war within our movement over the Pentagon? Or is it only that many people truly believe that no plane hit the Pentagon and need a plausible scenario to make that theory work for them? And the limiting/censoring of CIT’s exposure and other advocates of no plane theory, is just too much to bear and they have to speak out for their important theory? Now any reasonable person could accuse 911Blogger.com of being, too careful, too reasonable, too responsible and pro positive public relations, fair enough. But to insinuate they are working for the government is laughable, ridiculous and very hurtful to some very hard working 9/11 Truth Advocates at this site! So here’s my take on it…”the censorship of CIT”? Well firstly it is not just 911Blogger.com who has limited or removed support from groups and or people over the years, such as CIT, Webster Tarpley, Kevin Barrett, Pilots for Truth, Jim Fetzer, Morgan Reynolds, Judy Wood and David Shayler to name but a few. This is a very common thing within political movements to stick to the best evidence and information and to only support people who behave civilly and responsibly regarding their dealings with people and subjects associated with the case being advocated. The 9/11 Truth movement is probably the loosest political campaign in history and is so full of misinformed people and theories it is already nearly impossible to get any high level support for such a rabble. So who gives sites like 911Blogger.com the right to chose who they support? Well in a nut shell, they do! It’s their site and they do what they please based on their experience and the advice they chose to take from the experts they trust around them. 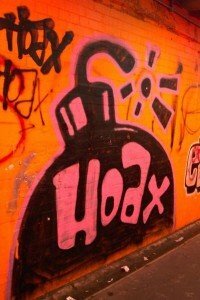 The major hypothesis is that various groups within the 9/11 truth movement are strongly asserting contradictory views and hence weakening the credibility of the movement as a whole. The damage is exacerbated if the supporters of these views not only disagree but also attack one another. Both hypotheses are examined as well as the idea that the “no plane at the Pentagon” theory is a booby trap for the entire movement. This idea states that if members of the 9-11 movement continue to promote this “no plane” theory as fact, that as our efforts become increasingly mainstream, we run the risk of the government producing a video of AA 77 actually hitting the Pentagon. We know the government has many videos which they have deliberately withheld from the public. What little information we have been given through official channels has only fueled the “no plane” argument. If a video were released tomorrow, it is suggested that this would thrust the entire movement into disarray as well as be used in the media to discredit us and irrevocably damage our credibility. Also of importance in Dr. Legge’s essay is the section on The Precautionary Principle. We at Visibility 9-11 endorse this approach and caution listeners and visitors to do your homework and only present to the public that information which is solidly documented or backed up by scientific research. Lastly, is a brief mention of the fine work of John Bursill in hosting 4 events in Australia and New Zealand during the month of November. The Hard Evidence Tour Down Under 2009 will feature my guest Dr. Legge as well as other solid and reputable members of the movement, and providing to the public only the best evidence we have. Thanks to John Bursill for pulling together such a fine line-up and for setting a great example for everyone to follow when it comes to bringing to the public only that information which can be solidly proven. If you want to help with the costs associated with these conferences, which are largely being funded by John himself, please send an email to johnbursill@gmail.com. Direct Download this episode of Visibility 9-11 or listen in the embedded player above. Filed Under: 9-11 Activism, 9-11 Cover-Up, 9-11 Truth Movement, Activist Tool, CIT, Citizens Investigation, Citizens Investigation Team, Connecting the Dots, Disinformation, Essential Reading, Flight 77, Frank Legge, International 9-11 Truth Movement, John Bursill, Journal of 9-11 Studies, Mis-Information, Misinformation, MUST HEAR, MUST READ, Pentagon, Pentagon Attack, Pilots for 9-11 Truth, Podcast, Psyops, Research, Scientific Method, Silencing Dissent, Sloppy Research, Straw Man Argument, V for Visibility, Visibility 9-11 Episode, Visibility 9-11 with Michael Wolsey, What Hit the Pentagon?